We are one of the leading manufacturer of flanges in India, we can supply Copper Flanges, the method includes forging and casting. Also, we can produce as per your drawings and specifications. 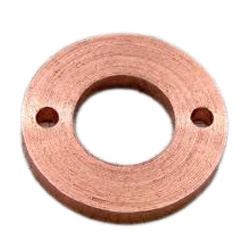 Copper Flanges and copper alloy flanges that are used in various industries, are made with the sophisticated manufacturing facilities, we ensure the quality and durability of the flanges.